Norwich and Bristol were the only towns outside of London to be large on a European scale during the Middle Ages. 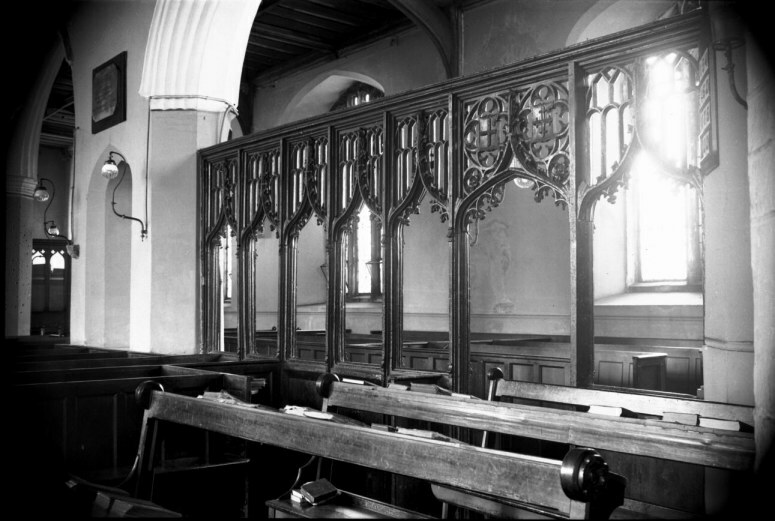 One of the results of this is that Norwich still had 36 parish churches in its city centre when the Reformation happened; a couple were rapidly demolished, but most lingered on into the 20th century. 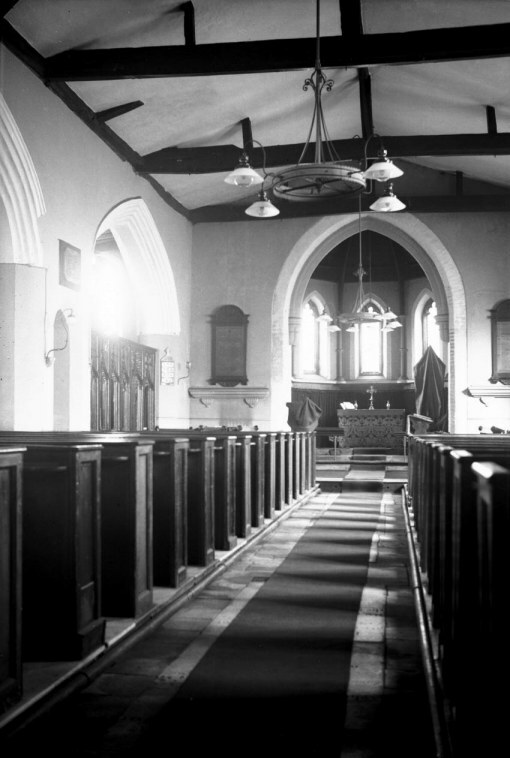 Over the years, the parish function of some fell into disuse, but a surprising number were still parish churches of the Church of England until within the living memory of many Norwich people. 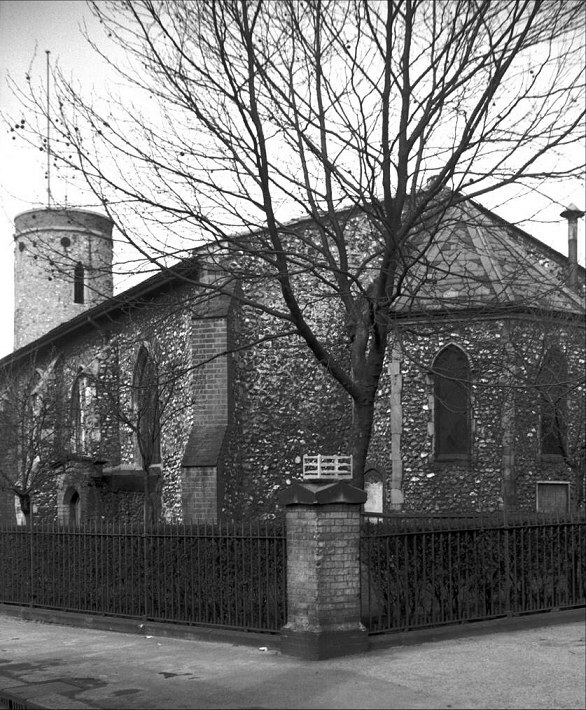 George Plunkett took the photograph on the left in the 1930s, it shows the church of St Paul in its pleasant tree-lined graveyard on the northern side of the city centre. 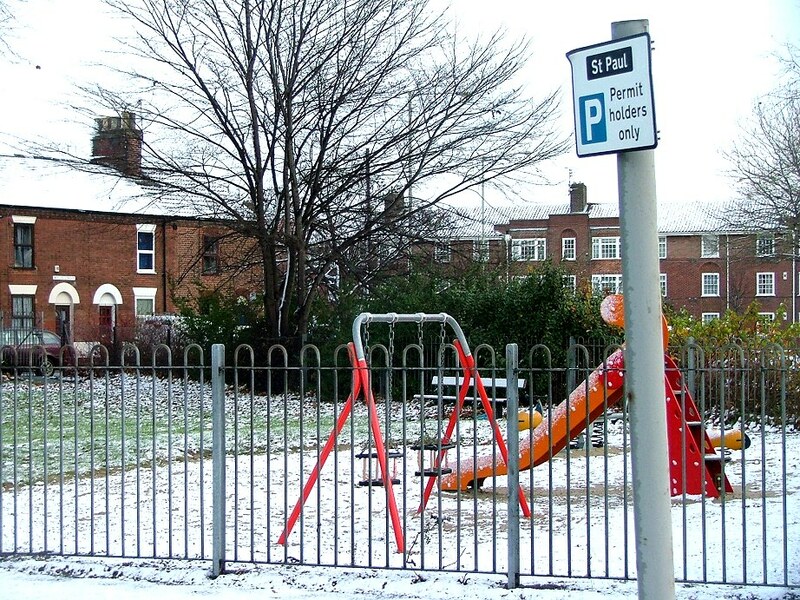 Here in Coslany and Pockthorpe, outside of the central commercial area, the medieval streets had given way to factories and the terraced houses where the workers lived. But still the medieval churches made their presence felt: St Paul was across the road and about 60 metres to the west along Barrack Street of St James; barely 100 metres in the other direction was St Saviour. 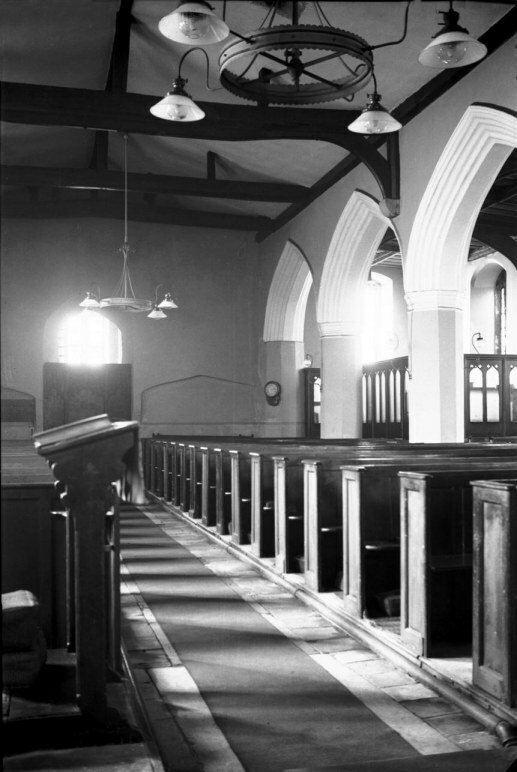 All three churches remained in use, and St Paul had the most populous parish of the three. 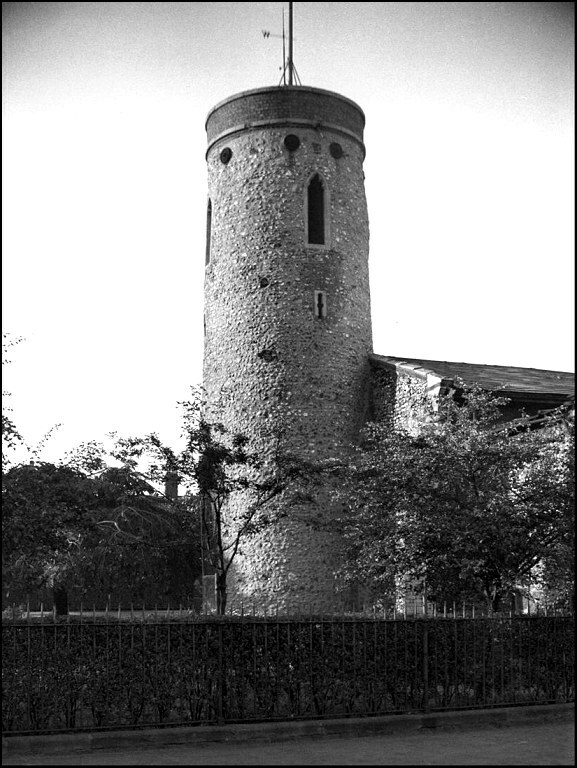 Its round tower, one of five in the city, was the biggest of them all. 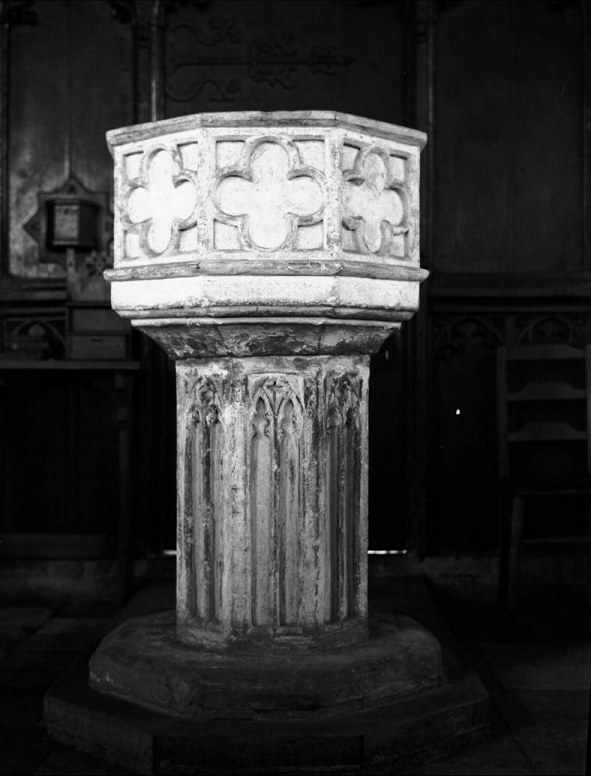 George's photographs of the interior show a church that was substantially Victorianised inside, but retaining two medieval features, the 15th century font and a parclose screen to the chapel in the north aisle. 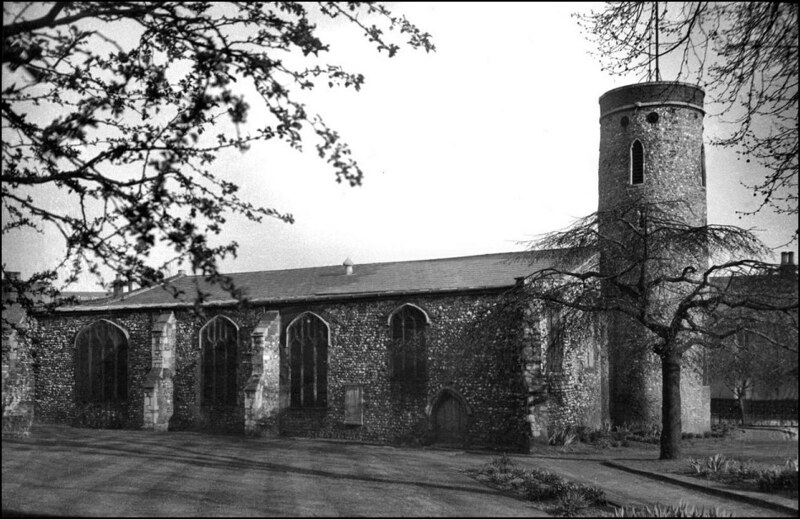 That this large, aisled church no longer exists is down to the twin-pronged nemesis of 20th century Norwich: Adolf Hitler, Fuhrer of the German Third Reich, and Herbert Rowley, Norwich City Engineer-in-Chief. Between them, these two men made sure that no trace whatsover, nothing at all, remained of a building that was a touchstone to generations for more than 900 years. Or, almost nothing. 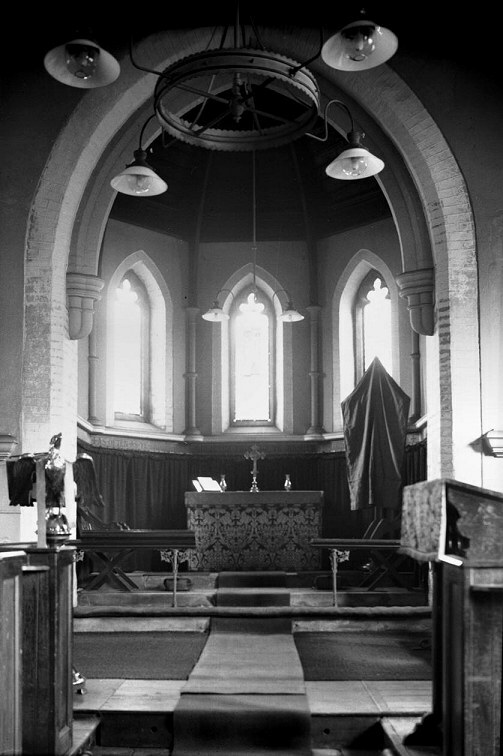 Cautley came here after the blitz, but was still able to see the tower, the two-storied porch and the north aisle. This is because, contrary to what you might expect if you've read the history of the city, St Paul was not completely destroyed, but burnt out by incendiary bombs. It would have been quite possible for it to have been rebuilt if there had been a will to do so. 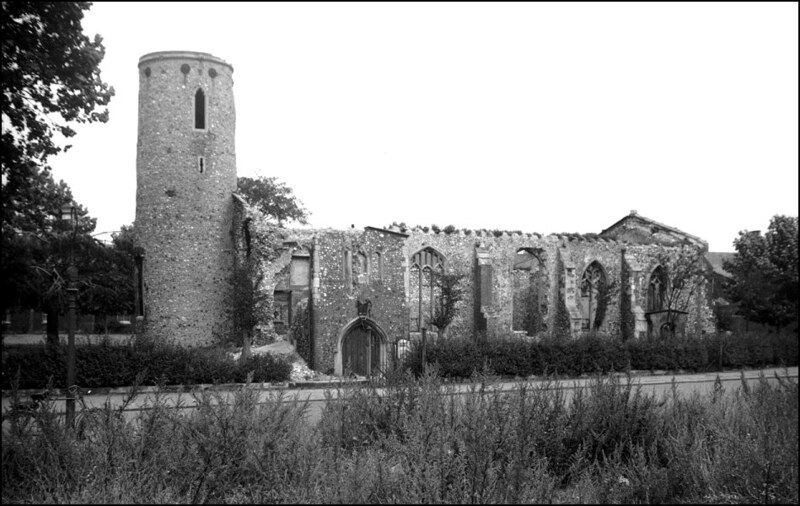 George Plunkett's late 1940s photograph of the ruins (left) shows St Paul as Cautley found it. 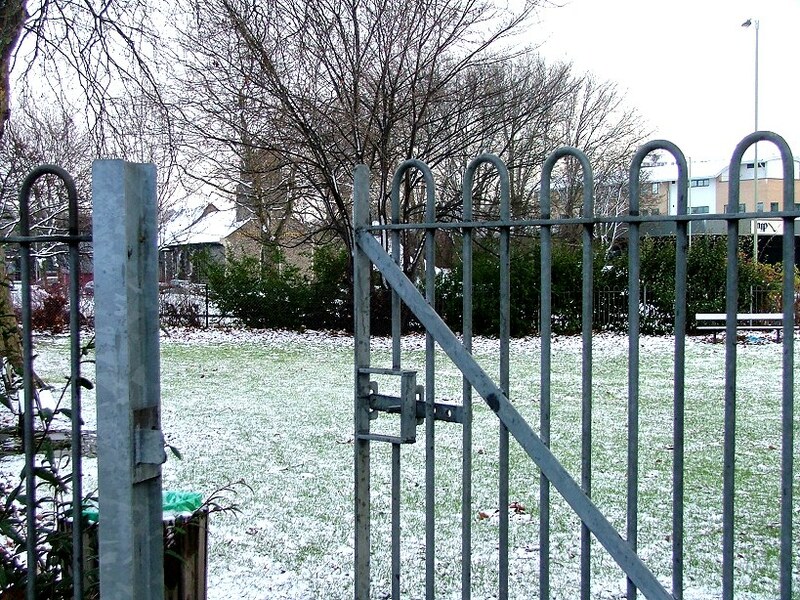 George was standing to the east of St Saviour, facing across Barrack Street, the weeds at his feet filling the site of a former factory. The spot where he was standing is now a car park. St Paul had been restored in the 19th century, a little apse added to the chancel, but the structure is still discernible as that of a 15th century Perpendicular church against a Norman round tower. There had been a little spirelet on the top of the tower, which was burnt, but the tower itself was completely sound, and could easily have been kept. However, in the white heat of post-war reconstruction, Herbert Rowley seized the chance to shave a few hundred metres off of the inner-ring road. Instead of allowing it to circumnavigate the city outside of the medieval walls as the Norwich post-war plan proposed, so that its northern part was beyond St Augustine, Rowley insisted that it should make its journey further south, cutting off the top quarter of the medieval city from the centre. The City Station had been destroyed, and so this was an obvious place to bend the road eastwards, cutting Magdalene Street in two and joining up with the old road at the Nelson Barracks corner. The problem with this was that three medieval churches were in the way. St James and St Saviour had survived the blitz pretty much intact, so Rowley put the new St Crispin's Road immediately to the north of them, the line running along that of Barrack Street. However, as the ring road is four lanes and Barrack Street was only two, this necessitated widening it, taking it across the site of St Paul. The church was rapidly demolished - although, as I say, the tower need not have been - and the St Crispin's flyover over Magdalene Street now comes back down to earth on the site of south wall of the nave. Where the tower was is now a children's playground, and you can just make out - or is it wishful thinking? - bumps in the ground that show where the tower was. 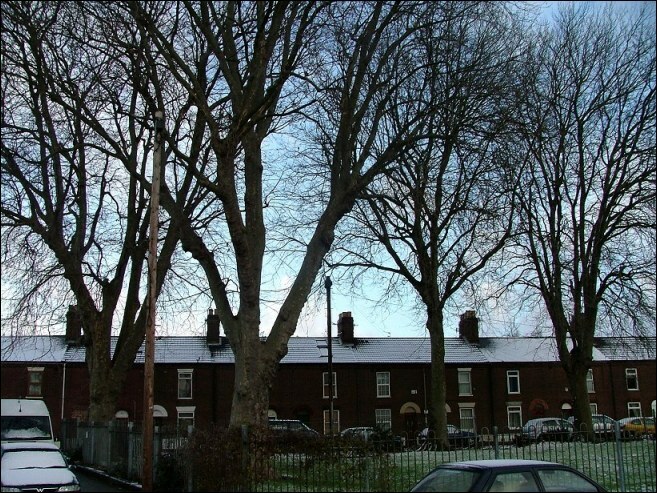 The two rows of terraced houses, perpendicular to each other, were there when the church was, and the large trees that line the square are the only survivors of the graveyard - they were there when St Paul was a parish church. But that's all. And so, Herbert Rowley's attempt to turn at least part of Norwich into East Anglia's equivalent of Wolverhampton began to bear fruit. The massive urban clearway rises high above the roof tops, coming down to intersect with the Cromer road at a huge roundabout. St James, now the puppet theatre, faces across the roundabout to the site of St Paul. The two churches were so close, and yet once terraced houses separated them. To the north and west of the surviving terraced rows, much of the medieval parish has now been demolished, to be replaced by two of Mr Rowley's worst legacies: the ugly Anglia Square shopping centre, and the jaw-droppingly awful Sovereign House, formerly home of Her Majesty's Stationery Office when such a thing existed, but now standing empty. This is is simply one of the worst examples of 1960s commercial development in England, now a run-down, soulless concrete block. It is completely out of scale; although it is no more than ten storeys high, its sheer bulk imposes its arrogance on the little streets around. I travelled widely in Eastern Europe under the communists, but I don't think I ever saw anything as bad there in a city of a similar size. When ever I hear anyone complain about the elegant Scottish Parliament building I want to bring them to Sovereign House and say 'here, look at this', and point them at this hideous, brutal block and its ugly, ugly neighbour Anglia Square. The current Norwich plan proposes that both be retained and refurbished, Sovereign House as a hotel or flats. The ghost of Mr Rowley continues to cast a long shadow. Beyond them to the north sits the pretty little medieval church of St Augustine, once organically part of the medieval city, but now so cut off from it that it might as well be in Poland. 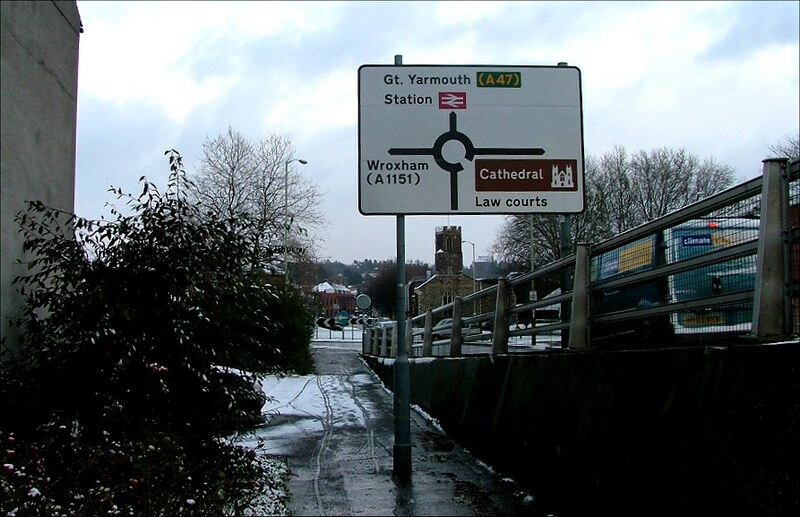 In common with most cities of its size, Norwich's central area has recently been divided into zones, and this part of the city is called 'St Paul'. 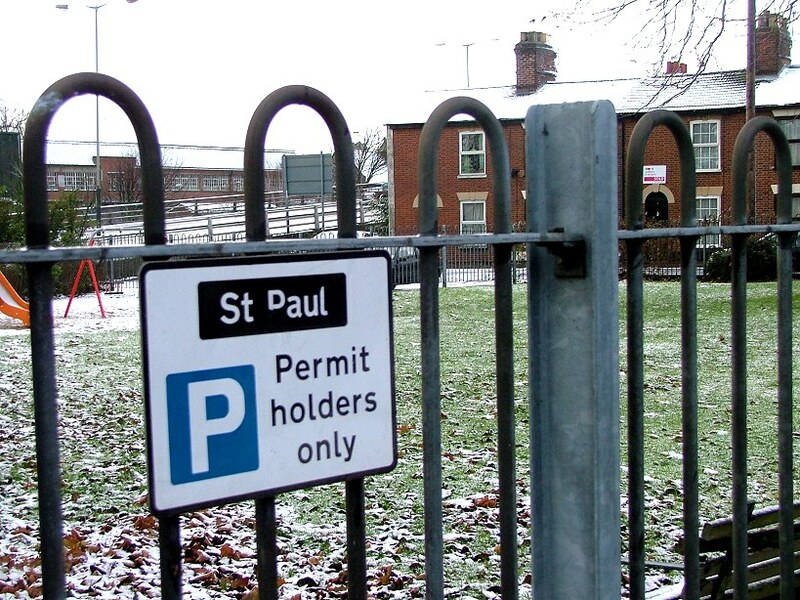 And so it is that on the parking restriction signs around the playground, the name survives of a building that it is almost impossible to imagine now.